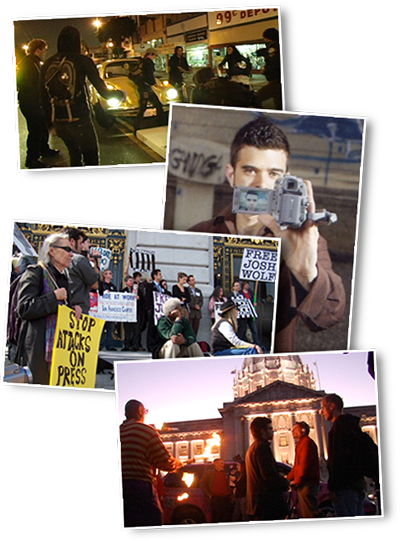 Blogger Josh Wolf sparked a national debate and gained international notoriety when, at the risk of imprisonment, he refused to surrender his video of a San Francisco demonstration to federal authorities. He consequently spent 226 days in a federal penitentiary - the longest in U.S. history for a journalist protecting his source material. Hailed as a hero by many for courageously upholding the principles of a free press - Wolf received the Journalist of the Year Award from the Society of Professional Journalists while he was imprisoned - he provoked others to question his standing as a true journalist with his blogger status and activism. After his record-setting incarceration and release in April 2007, Wolf leveraged his new celebrity to join San Francisco’s colorful mayoral race on the platform of "creating true participatory democracy." © 2019 Donna Lee - All Rights Reserved.